Any horror movie fans worth their blood-drenched carving knives know that the brooding houses where villains stalk victims are often central to the most memorable moments in these gruesome flicks. Remember when Michael Myers falls off the balcony in “Halloween”? Or the haunted cookie-cutter suburban home in “Poltergeist”? How about the ending of “The Exorcist,” when a possessed Father Damien Karras hurls himself out the bedroom window and tumbles down the stairs to his death? These homes were integral to the horror. 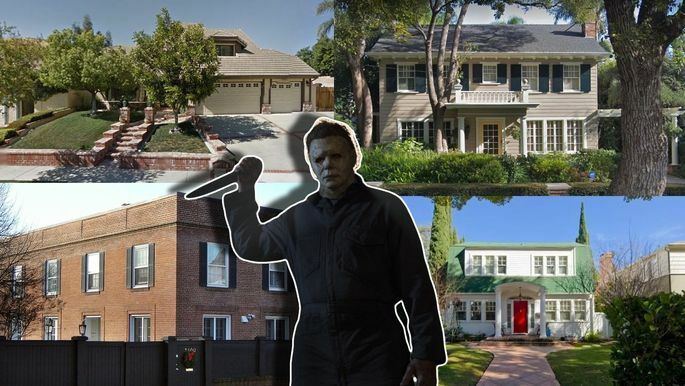 So as the ultimate Halloween treat, we decided to do a bit of real estate stalking of our own to locate the actual abodes used in five classic horror movies to see how they’ve held up, and how much they’re worth today. To our delight, some of them—such as the “Poltergeist” house—still look like they did in the films, just with taller trees or a new paint job. While none of these iconic places is currently for sale, it’s worth noting that all of them have an estimated value higher than the neighborhood median listing price. Could it be their spooky cinematic cachet? Or maybe it’s just that they’re all rather nice places (at least, by the light of day). 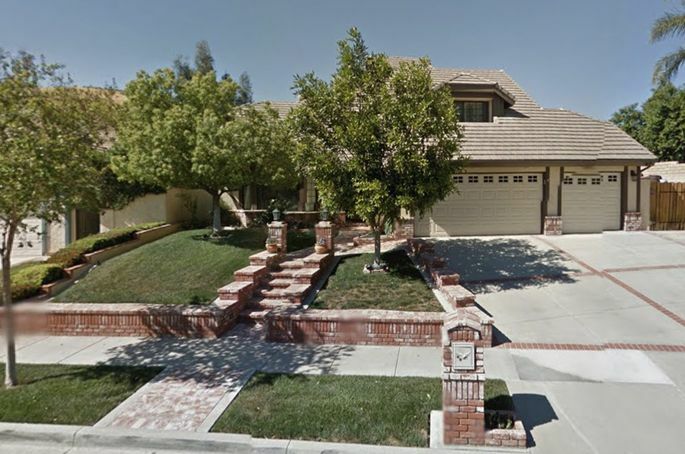 Unlike earlier horror movies that took place in creepy Gothic mansions, the home of the Freeling family in “Poltergeist” is an average four-bed, three-bath tract house in the suburbs. And that’s just how producer Steven Spielberg wanted it. The property in Simi Valley, a bedroom community 40 minutes from downtown Los Angeles, was chosen because of how commonplace it looks. “Steven liked that house because it was the end of the road. It was a two-story, valley-type mock Tudor, and it just fit everything. … He always wanted to be in normal residential areas,” Jim Spencer, the production designer on the 1982 horror film, told Yahoo. Today, the house looks nearly identical to its celluloid self, save for the full-grown trees in the front yard that were just saplings during filming in the ’80s. The home may be valued just about $150,000 more than the median listing price in Simi Valley, but we wouldn’t be surprised to see this iconic abode fetch top dollar from a horror movie buff, if it ever were to go on sale. 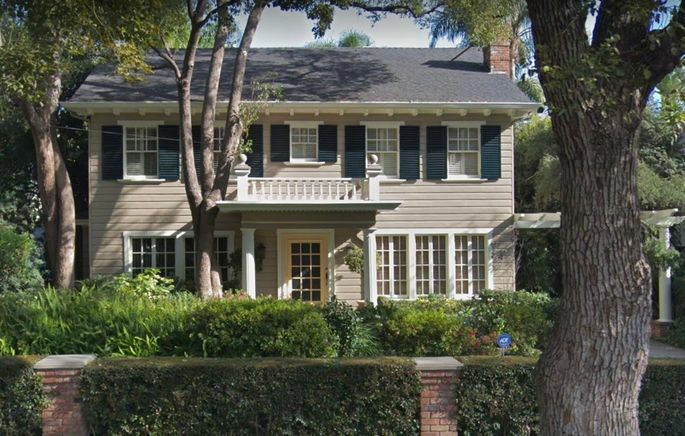 Although this famous flick is set in the fictional town of Haddonfield, IL, the unassuming Cape Cod–style home that’s the site of the final showdown between baby sitter Laurie Strode (Jamie Lee Curtis) and murderous bro Michael Myers is actually located in Los Angeles. Of the five houses we looked at, this was the only one whose exterior and interior were used. 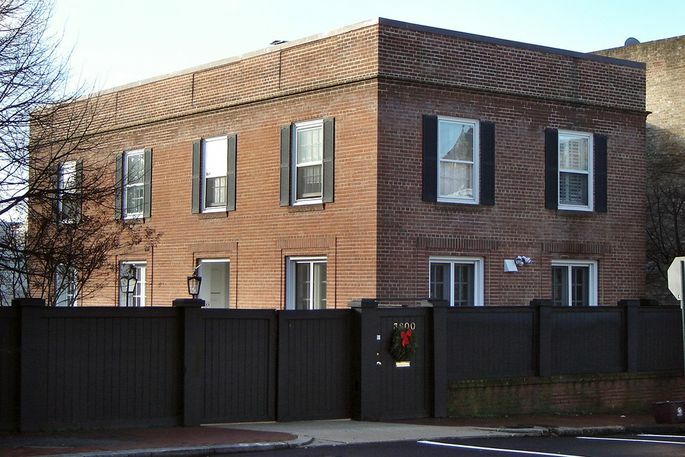 “The Exorcist” is considered one of the most disturbing films of all time, and most of the horrific happenings take place in the well-appointed home of Chris MacNeil and her daughter, Regan. Fun fact: The staircase where Father Damien Karras dies is located close to the MacNeil house, although not as close as the film makes it look. The film crew had to build an extension of the front of the house in order to stage the scene of Karras falling from Regan’s bedroom window onto the stairs. 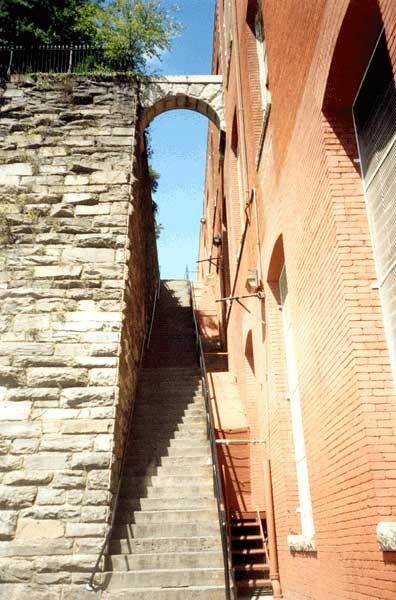 The stairs were also padded with rubber so the stuntman wouldn’t get seriously injured rolling down them, according to USA Today. The first three “Amityville Horror” movies were filmed at this house. Anyone who has read the original “Amityville Horror” book or seen any of the movies knows that the real murders that inspired this (um, fictional) story happened at 108 Ocean Ave. in the town of Amityville on Long Island, NY. 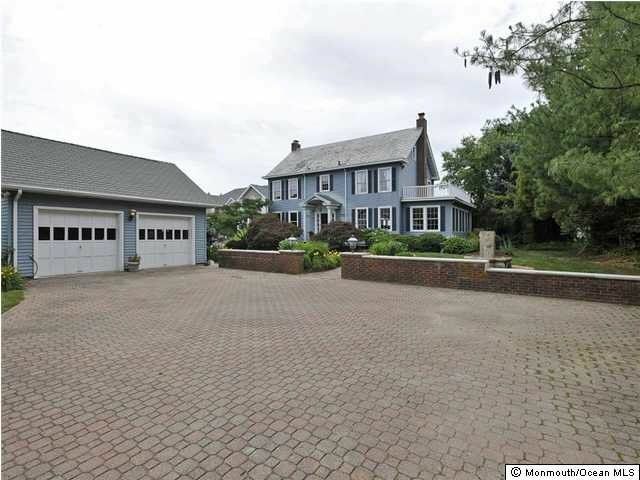 But since the town was unwilling to allow filming to take place there, the production team chose this four-bed, two-bath home in Toms River, NJ, to be immortalized in the 1979 film. 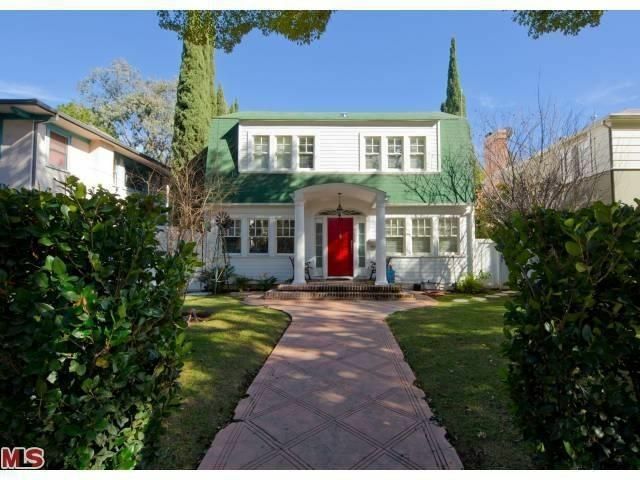 Just a few blocks from the “Halloween” house is another iconic piece of real estate: the house where Freddy Krueger stalks Nancy Thompson in Wes Craven‘s 1984 film, “A Nightmare on Elm Street.” The movie took place in the suburban town of Springwood, OH, but the real house is on a tree-lined street in Los Angeles.